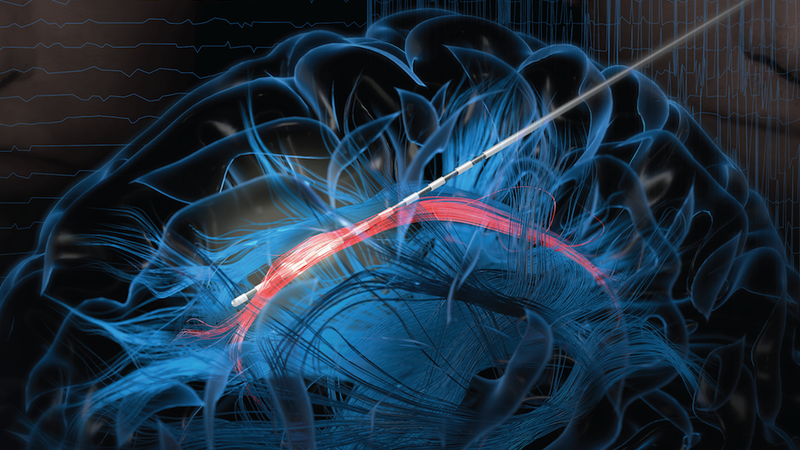 A distinct pathway in the white matter part of the brain known as the cingulum bundle can be used to alleviate stress and anxiety during awake brain surgery, according to new research published Monday in The Journal of Clinical Investigation. When electrically stimulated, this pathway triggers instantaneous laughter in the patient. But unlike previous experiments, this laughter was also accompanied by positive, uplifting feelings. Preliminary research suggests this technique could be used to calm patients during awake brain surgery, with the authors of the new study, led by neuroscientist Kelly Bijanki from Emory University School of Medicine, saying the findings could also lead to innovative new treatments for depression, anxiety, and chronic pain. Performing brain surgery on patients who are awake is not ideal, but it’s very necessary in some situations. Certain brain areas have specific functions that cannot be determined by just looking at them. When treating epilepsy or brain tumours, surgeons sometimes need to remove parts of the brain, but it’s not easy to distinguish abnormal tissue from important, functional tissue. In order to map the important parts, patients must be awake and cooperative so that doctors can distinguish between the parts that can be removed from those that can’t. In the case here, the surgeons needed to remove tissue that was overlapping with language function. By keeping the patient awake and responsive, the surgeons were able to avoid the important language parts of her brain while removing the parts responsible for her seizures. “Accessing the ‘highway’ in a particular location with direct stimulation provides a way of modulating specific brain areas with related functions and using that part of the highway to modify certain behavioural, emotional, or cognitive states to help patients feel more relaxed or motivated to persevere in the face of adversity,” said Willie. This marks the first time that this sort of stimulation has been used to counteract the stress of awake surgery, according to Willie. The alternative would have been to give the patients sedating medications, which can interfere with their ability to participate in awake surgery and help with the brain mapping.